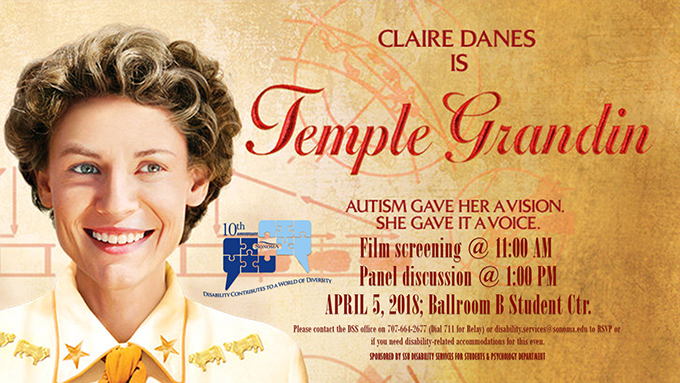 A viewing of HBO’s “Temple Grandin,” followed by a panel discussion with SSU students, faculty and local community members who have first-hand experience with Autism. Dr. Jack Nguyen, senior accessibility coordinator for Disability Services for Students, will provide a hands-on session teaching the campus community how to use Read & Write. The Department of Rehabilitation will focus on the transition to work after graduation. The PSY 450 class Allies in Action will be holding a documentary film viewing of “Autism in Love,” a flim about about people on the Autism Spectrum finding love and forming relationships. The PSY 450 class Allies in Action will be holding a film viewing of “Including Samuel,” a documentary about a dad’s journey with his son who’s diagnosed with Cerebral Palsy. The Department of Rehabilitation will be on campus to help students learn how to utilize helpful community resources. 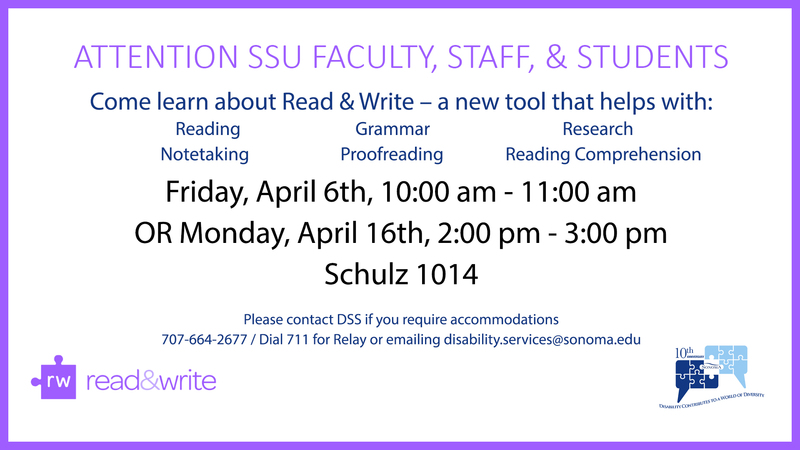 April is Disability Awareness Month, and Sonoma State University is offering several events sponsored by Disability Services for Students in collaboration with other departments. All events are free and open to all faculty, staff and students. 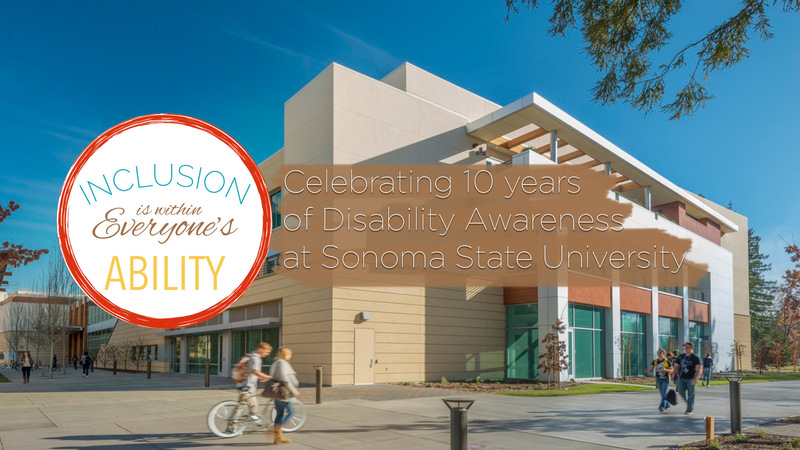 The 11th annual Disability Awareness Month at Sonoma State University is well under way, and there are still multiple events worth attending before April is over.